There are many websites, resources, and articles, by noted medical experts, rabbis and authorities on Jewish tradition and halachah (law) that set out the arguments both against brit milah (the circumcision ritual for Jewish boys), and for alternative welcoming, naming and covenant ceremonies (such as brit shalom) that do not involve cutting or drawing of blood. You will find a number of useful resources on this website, and links to other resources. If you would like me to help you plan a brit shalom (which I can do via phone, Skype and email), or for me to actually lead it as well, please contact me. In this blog entry, I have assembled my own shorthand notes of a really important book by Lisa Braver Moss and Rebecca Wald: Celebrating Brit Shalom, (2015, Notim Press, ISBN-13: 978-0692353332). I hope what you find on this page encourages you to buy the book. It is clear and informative, short enough to read quickly, and inspiring in its fully set out scripts (English, and the few bits of Hebrew needed) of three sample ceremonies, including ideas for music. 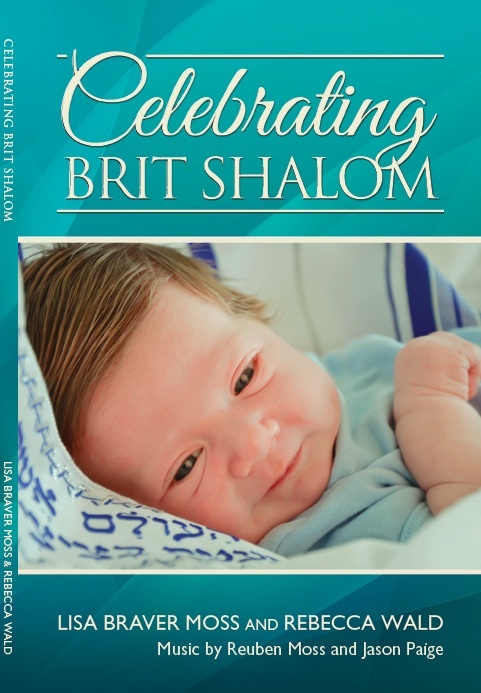 This book would be ideal as a resource for any parents who wanted to inform themselves, but also have as an authoritative and thoughtful resource they could show to family and friends to introduce them to the idea of a brit shalom. And, of course, it is extremely useful for anyone who wants to create their own ceremony to welcome someone into their Jewish family, people, and heritage. Although the authors do not mention it in the book, I can imagine the ideas here would be very useful for men converting to Judaism, but not wanting to have to be circumcised. Leader: Abraham promised children and continuity of line [Could include adopted children.] [Spare a thought for the childless and those who have lost children.] Faith that there is something bigger than us. Reader: Abraham trusted God; the infant trusts us. Leader: symbolism of Miriam and Elijah [NB Before Miriam rescued her brother Moses, she first persuaded her parents to remarry and have children.] Parents also say something to baby about this.